I love Lush. I wish I could exist in a constant state of relaxing in a Lush bubble filled with beautiful scents and colours. Since trying my first face mask (see what I thought here) I have wanted to try more and more products. I had a little look on the website and my basket just kept increasing until I almost wanted to cry from all of the prettiness and cost. It has been far too long since Student Finance has come through and so this collection will soon be a distant memory but a girl can dream eh? First up is the bubblegum lip scrub. Now Autumn is officially here and Winter is coming I'd be surprised if my lips don't get dry any time now. Who wants dry lips when I want to be wearing bright red and deep plum lipsticks? Not this girl! Talking about hydrating - how gorgeous is the colour of The Comforter shower gel? I love the colour and the smell is to die for! It's also meant to be hydrating so yes please! I have seen so many people take photos of this bath bomb it's crazy! Intergalactic looks amazing in the bath and, for the first time ever in student accommodation, I have the largest ever bath tub that's just dying to get ruined by a bath bomb. I cannot say no to pretty colours. As well as dry lips, of course the cold weather brings in dry skin. On those cold mornings when I definitely need a wake up before a day in the lab Cup O'Coffee may be just what I need. I definitely want to turn up to uni smelling of a coffee shop and the scrub will hopefully make me feel soft as the throw on my bed. 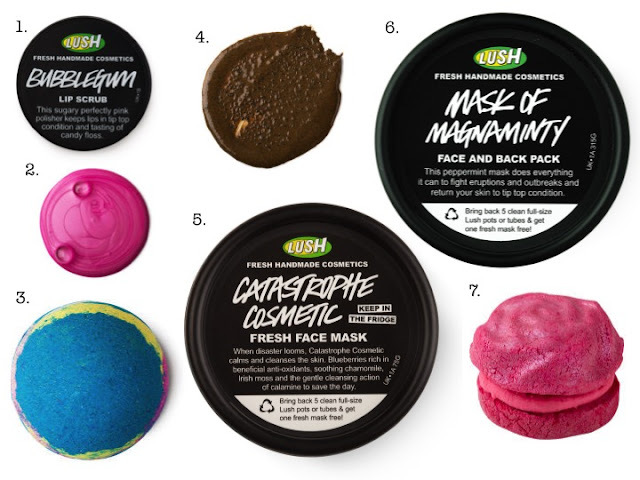 The first mask on my list is Catastrophe Cosmetic. Sometimes I need to calm my skin down as it gets so red when it's seriously cold. It's not even December and my face can look like Rudolph's nose. Therefore, it just makes sense to by a calming face mask right? Definitely in my books. The second mask I've got my eye on is Mask of Magnaminty. I don't have oily skin and so Cupcake probably isn't the mask for me. However, I do get outbreaks and so this mask may help out with those. It comes in a massive tub so doesn't seem quite as bad as it first seems value-wise. Last, but not least is the Rose Jam bubble bar. I am a sucker for bubbles and pink things - especially when they look like food! Actually, it may just be that this bubble bar looks good enough to eat. Who knows! So that's my Lush wishlist? What are you lusting over? What are your favourite products? Let me know! That's so cool! I cannot get enough right now. You should - they smell so gorgeous! It does taste amazing doesn't it? It's pricey but I want it so bad! The Oxford St. store is lovely (although there are a lot of stairs!). I'm not sure i'd go down the make-up route but I definitely want to try more skincare. The bubblegum lip scrub is DELICIOUS. And I looooove Mask of Magnaminty. And a tub lasts quite a while! I use it a few times a week and I think I'm probably only getting to halfway through it now?? Probably had it a month or so. Oh no! I keep looking at Magnaminty and put it down every time. I just need to buy it! You are definitely not the only one who looks like Rudolph in the winter. It's frustrating but does mean I can lather on every moisturizing cream I own in the evening! Love Lush! 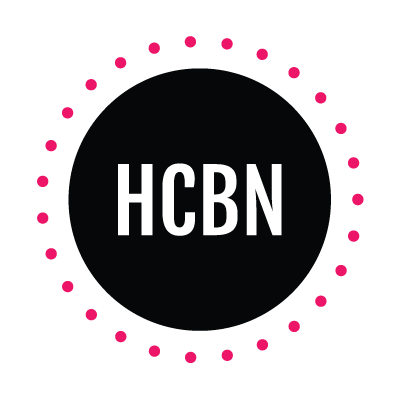 Their products are one of my faves. And how awesome does that bubblegum lip scrub sounds. :) Great post, Rachael! Thanks lovely! I need that scrub! I adore lush products!!! I can totally smell them through the screen rachael lol. That lip scrub is the bomb.. like can i eat them instead? Oh my god, me too! I can just smell bubblegum so bad.